How does the American Airlines and US Airways Merger Affect Frequent Flyers? Ever since American Airlines has come out of bankruptcy, they can’t stop talking about the new American. New planes! New amenities! And now: a host of new routes, hubs, and aircraft courtesy of the American Airlines-US Airways merger. Did You Blink and Miss it? It seems like a quick engagement culminating in an even faster marriage. As soon as bankruptcy restrictions were lifted, rumors of the merger started flying. But many were skeptical that it would get past federal antitrust laws. Miraculously, the government approved it rather quickly but with a steep set of demands, namely dumping a bunch of gates in key airports to avoid monopolies. The airlines quickly acquiesced. Then, before the ink was even dry, American announced that they would be launching the new American, complete with US Airways integration in just a few months. January 7 is the official birthday. I don’t know about you, but the whole thing gave me whiplash! American is clearly eager to implement a shiny new image as soon as possible after bankruptcy, and I don’t blame them. Since the airline industry problems, United and Delta have become very respectable, if not coveted seats, while American is known for having the oldest fleet in the U.S.
How Much Better Will the “New” American Be? Since the announcement, I’ve flown American several times (including the trip I’m currently on), and, honestly, I can’t remember the last time I saw such old planes. The one I just flew on to California must have been from the 70s or 80s from the interior paneling and number of repairs. Our flight only had DC outlets—the kind you use for cigarettes, not laptops! And this was a direct flight on a key business travel route (JFK-SFO). I’m starting to get the sense that they’re using all of the old stuff as much as they can now so passengers are really wowed by the “new” planes, many of which are just their newer planes prettied up for the big reveal. The one redeeming factor in terms of actual service level that I’ve seen so far, is that American is investing in better amenities for the people who are willing to pay for them, and award travelers can cash in on that for a fraction of the price. On my recent flight, the upper classes looked like an entirely different plane than the main cabin, and on the new planes, the experience will be even better. Some of Americans recently delivered Boeing 777-300ERs are already in the sky on key business travel routes, including New York and Dallas to London and New York and Dallas to Sao Paolo. These babies have aisle access from every business and first class seat, lie-flat seats in both cabins, international wi-fi capabilities, and an inflight bar, like frequent service award-winner Virgin. Even though the physical flight experience will get—and is already getting—much better, expect the service to be rocky for a while. A flight attendant I spoke to said that the US Airways crew wants to retain its own union, so a difficult merger on that front lies ahead. How Will The Merger Affect Award Tickets? For the time being, this is great news, because you can use one set of points to take advantage of the best redemption rates on either airline. 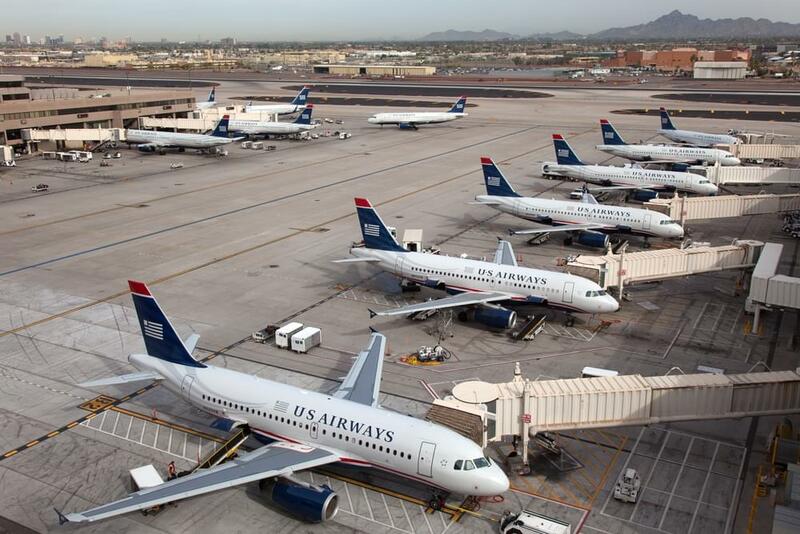 In the long-term, the programs will have to combine, but for the moment, it seems like (unsurprisingly), only US Airways loyalty program members are feeling some pain. As of March 31, 2014, the US Airways award program will switch to oneworld, completely altering the available flights for US Airways members. No changes to award tickets booked before the switch will be available after March 31 either, so if you want to use up points now, book carefully. Coming down the pipeline, look for higher fees for award tickets—whether booking fees, seat assignment fees, or change fees—and a less generous award chart. Hopefully 40,000-mile roundtrip off-peak economy tickets to Europe (via AA) will stay, but 90,000-mile business class seats to Asia (currently available through US) will mostly like disappear. On the upside, the combined airline with now serve 6,700 daily flights to more than 330 destinations in more than 50 countries.